Random Artwork/Artist Interviews is Live! My new project Random Artwork/Artist Interviews has launched! 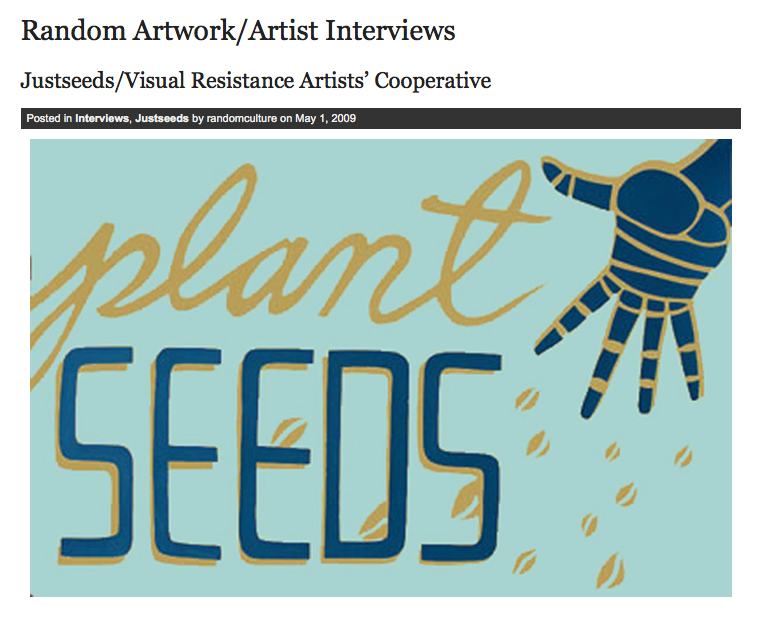 The first interview was conducted with the political art collective Justseeds! The site will serve as a space for interviews of contemporary artists and collectives to discuss their work and the ideas that inform their artistic practice.